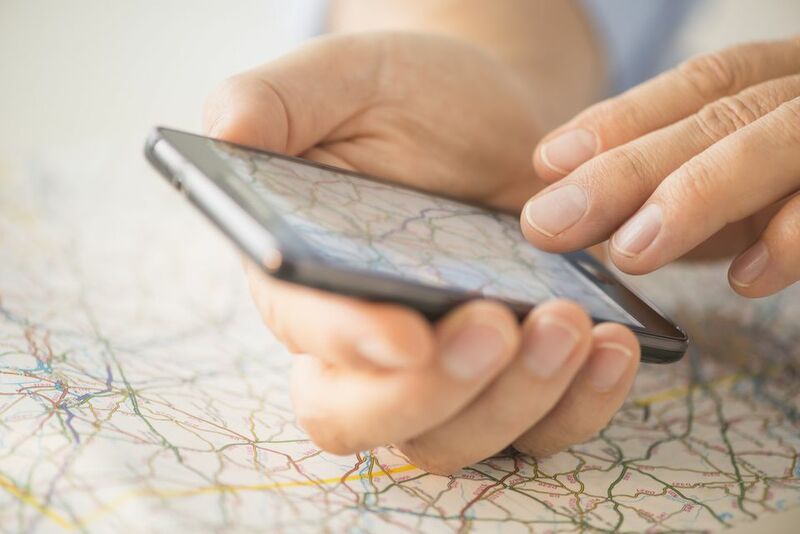 With the near ubiquity of GPS systems built into cars and smartphones, apps have overtaken pesky, hard-to-fold paper maps and even printable online driving directions as travelers' go-to tool for finding their way on the road. Still, there are times when it makes sense to have a mapping backup in case of spotty cellphone reception or even just to plot your own scenic route. Since most driving directions websites and apps are free, you can afford to double up. Choose wisely with this look at the best options. The accuracy of Google's detailed road maps is unparalleled, which is helpful if you'd like to plot a scenic route rather than driving on interstate highways or to avoid toll routes (where possible). This is easily the best free online driving directions tool, thanks to Google's massive project to map public roads all over the world. On the app or website, click "Street View" for street-level visuals that can help you to effectively pinpoint landmarks and locations. You can plot a route from Point A to Point B, and Google will tell you the best driving route, public transit options, flight times, and in some cases, walking distance. The Google Maps app lets you plan and recalibrate your route in real time and gives step-by-step voice directions, particularly useful when you're driving and it's not safe to glance at a map every few minutes. The pre-installed driving directions app for iOS phones, Apple Maps got off to a shaky start when it was launched in 2012. Since then, the company has made significant upgrades to the app and its interface, connecting it with iPhone's personal assistant Siri for seamless directions. Where Waze is a little more cartoony and Google Maps has few bells and whistles, the Apple Maps app feels like other Apple products, with a heavy emphasis on the design and user interface. Waze has many of the basic features of other mapping tools but adds a social element that is the hallmark of its app. It was bought by Google in 2013, but Waze had already established itself as the way to crowdsource directions. This includes alerts from other drivers about upcoming traffic, construction and police speed traps on your route. Users can even connect their Spotify accounts to the Waze app to play perfect driving music for a trip. On the Web since 1996, MapQuest has been surpassed in recent years by competitors like Google Maps and Apple Maps. MapQuest has long had issues with the accuracy of its directions, but recent iterations of its driving directions website are more on target. MapQuest's most handy features include an assessment of current traffic conditions and estimated fuel costs based on current prices. While MapQuest has ceded its spot at the top of the list of map providers, its app and online driving directions are free, and it's a good backup option to your smartphone's built-in navigation. The American Automobile Association (better known as AAA) offers its TripTik Travel Planner service free online ​and allows you to print a paper version much like its old-style TripTik maps.Sometimes the directions generated can be rather convoluted, though, so while they'll get you there, it might not be via the easiest route. With one click, though, you can choose a scenic route, and that makes this tool worth trying if you want to enjoy the journey as much as the destination. Be forewarned: The AAA website has this annoying feature of demanding to know your zip code before it will allow you to access content, which is a frustrating extra step. Rand McNally has a map-making history that dates back to 1856, but the company was a bit slow to the dance and didn't offer free driving directions online until 1999. If you haven't tried Rand McNally for directions, you might give them a try, particularly if you are planning a long trip with multiple segments. You can customize your route, and Rand McNally's site will recognize any address format, so even if you're not entirely sure of your end destination, their interface should be able to get you there. Be advised that their accuracy is a little buggier than some of the other maps and directions sites.